The Automotive Recyclers Association showcased the first edition of the Hybrid Vehicle Dismantling Guide at ARA's 68th Annual Convention in Charlotte, NC in October. With the popularity of Hybrids on the rise, demand for these green recycled parts will increase, and the Guide educates automotive recyclers on the safe and efficient dismantling of Hybrids, as well as their differences from other vehicles. Including over-view chapter and specific section modules for the Prius and Honda hybrids, the guide is organized into topics on vehicle identification components and locations, description and operation of specific hybrid parts, safety measures, and removal procedures. Use this link to the ARA website so you can order your own copy. GM developing processes for Volt batteries after vehicle impacts. General Motors is developing ways to discharge the battery in the Chevrolet Volt after accidents to prevent fires like the one that followed a government crash- test of the plug-in hybrid car in May. GM is working on safety practices with the U.S. National Highway Traffic Safety Administration and will make them public when completed, Rob Peterson, a GM spokesman, said yesterday. The Detroit-based automaker has taken longer to develop a plan than Nissan Motor Co. did for its Leaf electric car. Both the Volt and Leaf went on sale in December 2010. The procedures are intended to keep rescue workers, dealers and auto-salvagers safe and head off potential fires that may jeopardize the safety reputation of the Volt, which is the focus of GM’s marketing. NHTSA is scrutinizing the safety of lithium-ion batteries that power all plug-in electric vehicles after a Volt caught on fire three weeks after a May 12 crash-test. GM believes that a coolant leak helped carry an electrical charge to something flammable inside the battery, Peterson said yesterday. If a lithium battery is pierced by steel, a chemical reaction will start raising the temperature and can result in a fire. The company now has a process in place to draw down power in the battery so it won’t catch on fire after a collision, Jim Federico, GM’s chief engineer for electric cars, wrote on a company website. “The Volt is safe,” Federico wrote in a Nov. 15 post on ChevroletVoltAge.com. “The fire occurred because the battery wasn’t completely discharged after the test.” Federico also wrote that, “GM developed its battery depowering process for the Volt after NHTSA’s test.” The agency also has given the car its top crash rating. GM had a process to discharge Volt batteries. The automaker didn’t distribute it to tow truck drivers, body shops, salvage yards and others who may handle the car after emergency crews stabilize the scene of an accident. The company was sending engineers out to check any Volt that got in an accident and, if needed, discharge the battery, Peterson said. Before the Volt and Leaf went on sale, GM and Nissan had been working to train emergency-response workers through the National Fire Protection Association, a national fire-prevention and firefighters group based in Quincy, Massachusetts. Workers are trained to disconnect the 12-volt battery from either car, which will shut down the separate high-voltage battery, said Jason Emory, a trainer with the association and also a lieutenant with the Waterbury, Connecticut, Fire Department. Emory said the Volt also has a mechanism to disconnect the 16-kilowatt-hour battery from the car. Nissan has taught firefighters and rescue teams how to approach the Leaf and make sure the battery is disconnected, said Bob Yakushi, director of product safety for Nissan North America. After emergency workers stabilize the scene, Nissan recommends a Leaf be towed to one of its dealers where the battery will be handled by technicians, Yakushi said. GM slid 0.6 percent to $22.52 at 9:45 a.m. New York time. Nissan’s American depositary receipts, each equal to two ordinary shares, fell 1 percent to $17.76. Nissan has not encountered any fires with the Leaf since it went on sale in the U.S., Yakushi said. While there have been several accidents reported and “quite a few Leafs were destroyed” during Japan’s earthquake and tsunami in March, none caught fire, he said. Nissan has a steel case around its battery to protect the battery from puncture, Yakushi said. Peterson said the Volt does not have such a second protective casing around the battery. GM placed the battery at the center of the car, which is the safest location, he said. NHTSA asked automakers, including GM, Nissan and Ford Motor Co that sell or have plans to sell vehicles with lithium-ion batteries about the batteries’ fire risk, four people familiar with the inquiry said. LG Chem Ltd. (051910), South Korea’s biggest chemical maker, supplies Volt batteries. The information will be used for a three-year $8.8 million electric-vehicle safety study it announced in June, an agency official said. As East Coast residents begin to rebuild and recover from Hurricane Irene and its aftermath, the National Insurance Crime Bureau (NICB) wants consumers all across the country to be alert for flood vehicles that could begin to appear on the used car market. From Maine to North Carolina, an analysis of insurance claims processed by NICB member companies shows that during last August alone, 11,789 flood vehicle-related claims were processed. This compares with 994 processed in August of 2010. New Jersey generated the most claims—4,121—followed by New York (2,809) and North Carolina (2,585). The one word that separates a good buy from a scam is disclosure. 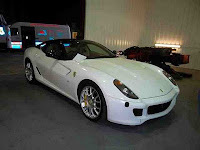 As long as a seller discloses the fact that a vehicle is a flood vehicle, then there is no fraud. The trouble comes when a seller hides the fact that a vehicle has been declared as such and that fact is hidden from prospective buyers. People who fraudulently traffic in flood vehicles are good at cleaning them up and presenting them for sale as perfectly fine used vehicles. To entice buyers even more, they are priced well below retail. That's a clue for you to slow down and get some expert advice. It's always good to hire a trusted technician to examine any used vehicle you intend to purchase—particularly if the sale is from a private party advertising online. After Hurricane Katrina devastated New Orleans and sections of the Gulf Coast, NICB created VINCheck(SM), a free consumer protection service aimed at preventing this kind of fraud. VINCheck allows anyone to check a vehicle identification number against the millions of claim records processed by participating NICB member insurance companies. If the vehicle was ever declared as salvage, a flood vehicle, or is an unrecovered stolen vehicle and reported by a participating insurer, you will be advised of that information in seconds. In addition, consumers are encouraged to use additional sources of vehicle history information, including the National Motor Vehicle Title Information System (NMVTIS) which was designed to protect consumers from fraud and unsafe vehicles. NMVTIS can be accessed at www.vehiclehistory.gov. It's worth repeating that flood vehicle sales are perfectly legal when all parties are aware of the flood history. Many people buy them knowing that they will need to rebuild or replace affected parts. Yet even after that kind of post-sale investment, consumers can have a very good vehicle for a lot less than retail. But you have to know the vehicle's history. Ask about the vehicle's history. Ask whether it was in any accidents or floods. Inspect the title and ownership papers for any potential salvage fraud. Trust your instincts. If you don't like the answers or the deal sounds too good to be true, walk away! If you suspect flood vehicle fraud, call the NICB Hotline at 1-800-TEL-NICB (1-800-835-6422). You may also text your information to TIP411, keyword "FRAUD" and remain anonymous if you so desire. About the National Insurance Crime Bureau: headquartered in Des Plaines, Ill., the NICB is the nation's leading not-for-profit organization exclusively dedicated to preventing, detecting and defeating insurance fraud and vehicle theft through data analytics, investigations, training, legislative advocacy and public awareness. The NICB is supported by more than 1,100 property and casualty insurance companies and self-insured organizations. NICB member companies wrote over $319 billion in insurance premiums in 2010, or approximately 80 percent of the nation's property/casualty insurance. That includes more than 94 percent ($152 billion) of the nation's personal auto insurance. To learn more visit www.nicb.org. Hills Salvage and Recycling Ltd will host CARS, the Complete Auto Recycling Show from June 14-16, 2012. CARS has been organised to give the auto recycling sector, which includes everything from recovery operators to materials processors, salvage auctions to remanufacturers, a focus for moving the industry forward. CARS is much more than a trade show. This is a 3 day event which will include an extensive array of seminars, open forums and training sessions with the added plus of a social side. There will also be 60-100 stands from suppliers to our industry. Running alongside CARS will be the International Roundtable on Auto Recycling (IRT) which comes to Europe next year. IRT takes place approximately every two years and has in past years taken place in USA, Japan, Australia and in 2010, Canada. In 2012 IRT will be based in Liverpool, with Hills base in Skelmersdale, (which is a stone’s throw away) being used for many of the roundtable meetings and forums, as part of the CARS event. For those who have not come across IRT before, it is a gathering of auto recycling associations from around the world who meet to discuss association and industry issues so that they can all share what is happening in own their countries. Hills Salvage and Recycling’s MD, Ian Hill is part of the steering team moving IRT and CARS forward. He, as many of us believe the UK auto recycling industry has long been neglected and CARS gives us an exciting opportunity to pull all sectors of our industry together. “Those of us who visit ARA and similar events in the States and around the world are more than aware of the benefits of getting together with interested parties who want to improve their businesses “ said Ian. He continued, “This is why we are so keen to launch CARS, so that UK auto recyclers can gain these benefits. And with the IRT, we have the added bonus of a large addition of international auto recyclers which gives us in the UK, a golden opportunity to benefit from others experience”. We anticipate that over 500 people will attend from Europe and around the world. 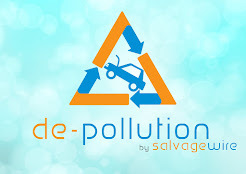 This is the one event that all those involved in auto recycling need to be at. To prepare for next year’s IRT and CARS, Ian and the team have put together a format to create an exciting event, loosely basing CARS on the ‘IT’ show in the USA. This show has been extremely successful over the past 10 years and you can find out more about this particular show from its website - www.meetusatit.com. Ian explained, “This format is relaxed, very informative and a great deal of fun for both exhibitors and visitors. We believe it will create the ideal environment for developing the skills and professionalism required by our industry in the modern world”. 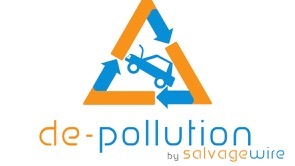 CARS is a yard based event and will take place at Hills Salvage and Recycling’s Skelmersdale site near Liverpool. There will be plenty of exhibitors showing equipment and services used by our industry. From computers to cable granulators, depollution equipment to car balers, but don’t forget, CARS is much more than trade stands. There will also be live demonstrations so you can actually see and compare equipment. There will be site visits, seminars and training programmes with top speakers from the USA and Europe. There will also be a fund raising auction plus other events to raise donations for charity. CARS is very social. On the Thursday night there is a welcome with drinks and canapés; on Friday night there’s a band and dance with free food and drink. There will even be a charity nails and champagne bar for ladies who have had enough of talking shop and a formula 1 simulator for those who like a little competition - look out for the trophies! When we say free, well it’s almost free! Ian added, “Although everything is free for the 3 day event, visitors will pay £50+vat with a reduced price for additional employees, friends and family, but the entrance fee does cover everything - food, drink, seminars, training - the only thing you have to pay for is your hotel and any raffle tickets/auction bids etc. CARS will even run shuttle buses to and from local hotels so parking won’t be an issue and you don’t have to worry about drinking and driving”! Low Mileage 2007 Ferrari 599 for sale on www.bluecycle.com, see the web site over the next few days for more information and follow the bidding.